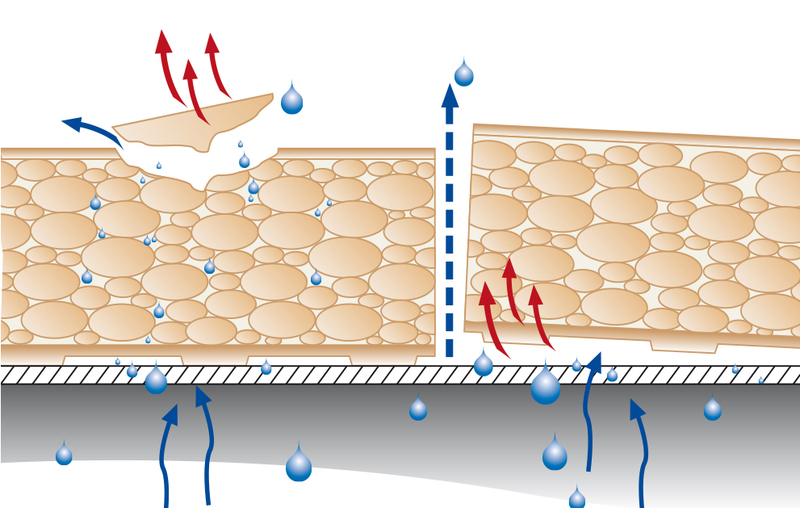 Ströher heavy clay ceramics possess “breathable” capillary channels and a “waterproof” pore structure with a draining, homogenous particle structure. So even the slightest amount of condensation can escape naturally and won’t have to force its way out of the tile. We call this the membrane effect. In transitional seasons and depending on the regional location, ceramics in outdoor areas will have to be able to withstand temperature fluctuations of up to 70°C and rapid freeze/thaw cycles. Ströher heavy clay ceramics can do this – compliant with the DIN EN ISO 10545-12 test standard, even beyond the required laboratory conditions. WITH 25 YEARS FROST RESISTANCE GUARANTEE. The highly structured reverse surface of the tensile heavy clay ceramics made from wet clay ensures optimal interlocking with the subsurface. This ensures optimum adhesive tensile strength. In contrast to the ‘glazed’ surface of the dry pressed body, heavy clay ceramics do not come loose even under heat stress, provided they are properly laid. 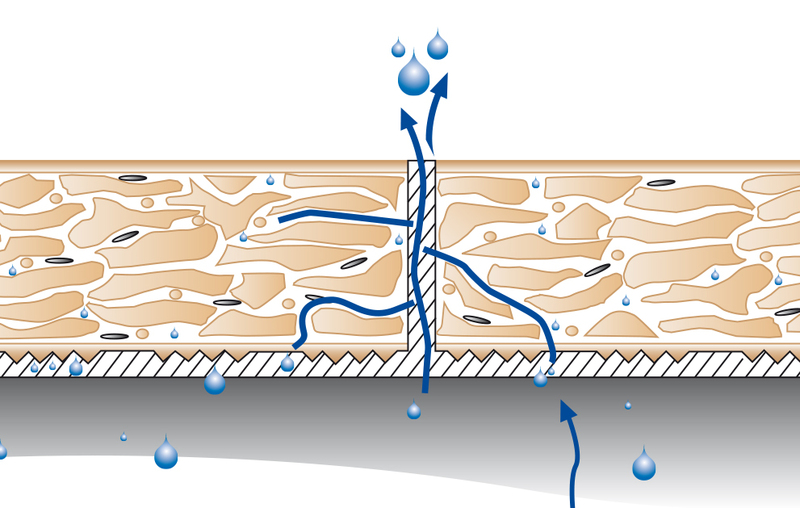 Even the smallest amount of condensation that may have collected as a result of the laying conditions cannot escape naturally. 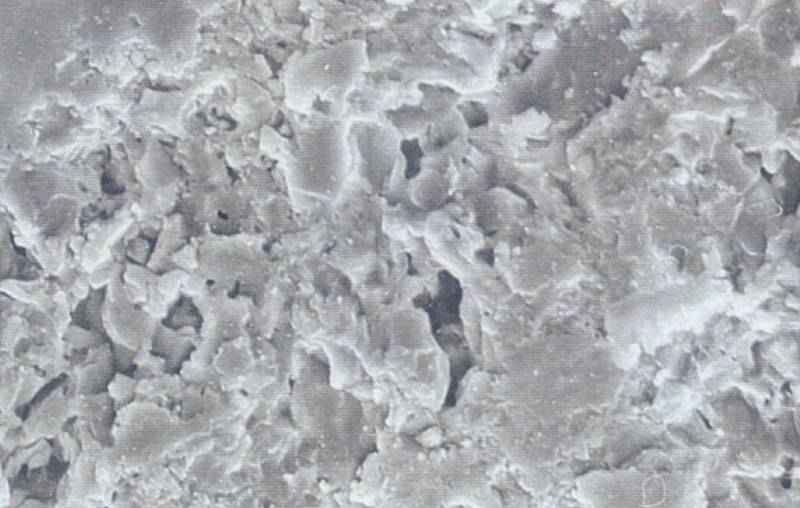 Smooth pore structure on the adhesive surface of the stoneware slab with poor adhesion properties, SEM image at 500X magnification – direct view. Water that has penetrated can escape in the quickest possible way through the capillary channels and frost damage will not occur. 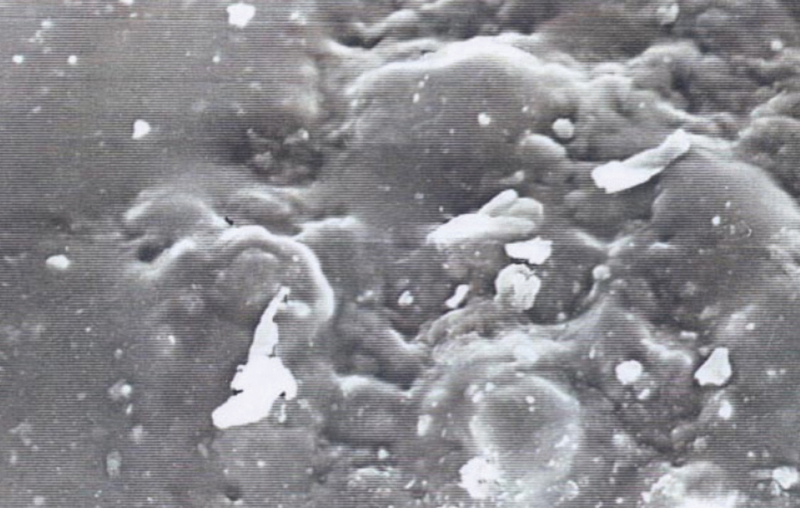 Keraplatte® programme with very good adhesion properties, SEM image at 500X magnification – direct view. * Ströher is the only German manufacturer offering a 25-year frost resistance guarantee on the following extruded products that have been correctly installed by a qualified professional tiler: Keraplatte® Zoé, Keraplatte® Gravel Blend, Keraplatte® Epos, Keraplatte® Aera T, Keraplatte® Aera X, Keraplatte® Aera, Keraplatte® Roccia X, Keraplatte® Roccia, Keraplatte® Asar X, Keraplatte® Asar, Keraplatte® Terra, Keraplatte® Duro, terrace slabs Gravel Blend, terrace slabs TerioTec® X Profile, terrace slabs TerioTec® X, terrace slabs TerioTec®, Stalotec®, Kontur, Stiltreu, Riegel 50, Handstrich, Steinlinge, Zeitlos, Glanzstücke, Keravette® and Keraprotect®. Please find further explanations in our general terms and conditions.